NBC announced today that Saturday Night Live would have three new featured players when the 38th season kicks off this week with host Seth MacFarlane and musical guest Frank Ocean. The new cast members are Cecily Strong, Aidy Bryant and Tim Robinson. All three are former Second City performers in Chicago. The Comic’s Comic broke the news Friday about the additions of Bryant and Robinson to SNL. Strong has toured with Second City’s national company and served as an understudy for its MainStage and e.t.c. stage teams. She also has performed alongside Bryant as part of the same team, Virgin Daiquri, at iO in Chicago. In a 2011 interview with Scribblers.us before a Second City tour stop in Connecticut, Strong said she decided to focus on comedy while obtaining her theater degree at CalArts. Moving to Chicago and studying (and understudying) with Second City meant she got to see Lorne Michaels visit every year, even if she hadn’t yet auditioned for him until this past year. “I just understudied a role on the mainstage here. I do videos. I play at other theaters around Chicago. Your headshot is always floating around the building,” Strong said then. Bryant, Robinson and Strong all join SNL’s Season 38 as featured players. 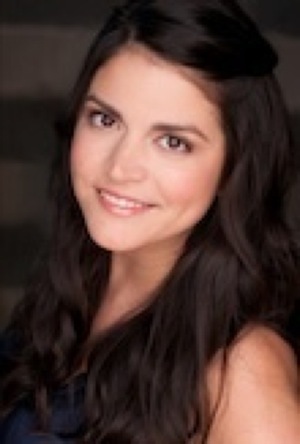 This is Cecily Strong in a December 2011 video from The Second City Network. Enjoy. And here is Strong in action as a fake tour guide in Quebec. It’s French-Canadian, so of course, there’s some NSFW language. Roll it!